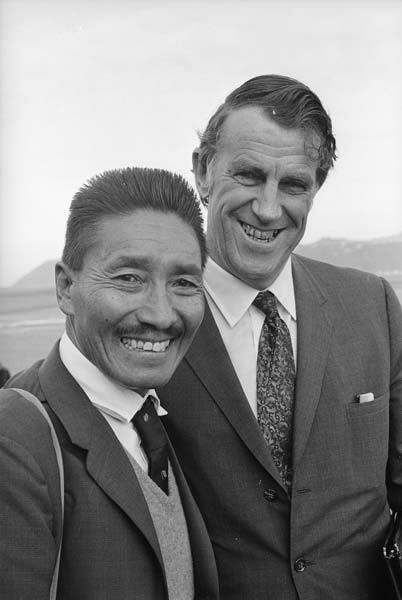 In 1971 Hillary’s Everest climbing companion Tenzing Norgay and his wife, Daku, made a tour of New Zealand as guests of the Himalayan Trust. Tenzing’s appearances at Trust events helped with fundraising, but in between, Hillary showed him the sights of New Zealand. They were photographed for the Evening Post while in Wellington on 11 August.